Before your sales team can deliver a winning pitch that lands a new customer, they need to know who they should be pitching to. If a lead is passed on to sales before they’re serious about making a purchase, the conversation isn’t likely to end well. So, how can you tell which leads are done window shopping and primed to buy? By following a lead qualification process to help your marketing and sales professionals identify sales qualified leads (SQLs). Knowing what an SQL looks like allows you to spot your next potential customer. This means your sales reps can work smarter by spending their time and energy on leads who are ready to make a purchase. 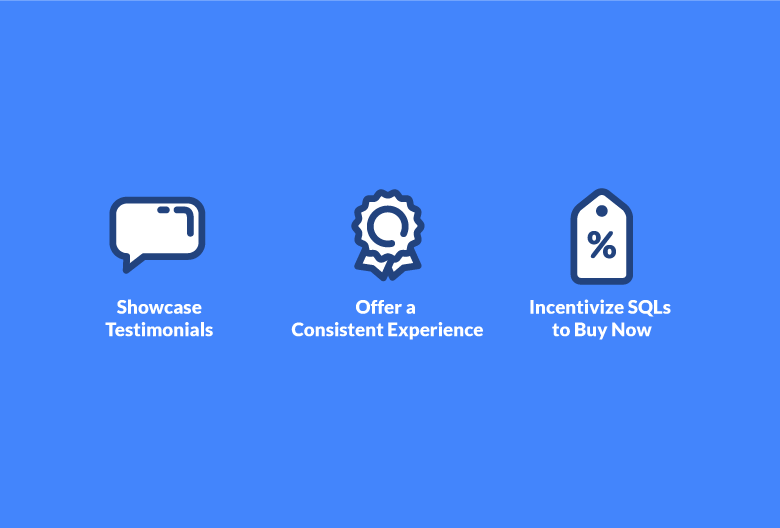 What is a Sales Qualified Lead (SQL)? An SQL is a prospective customer that has expressed intent to buy. 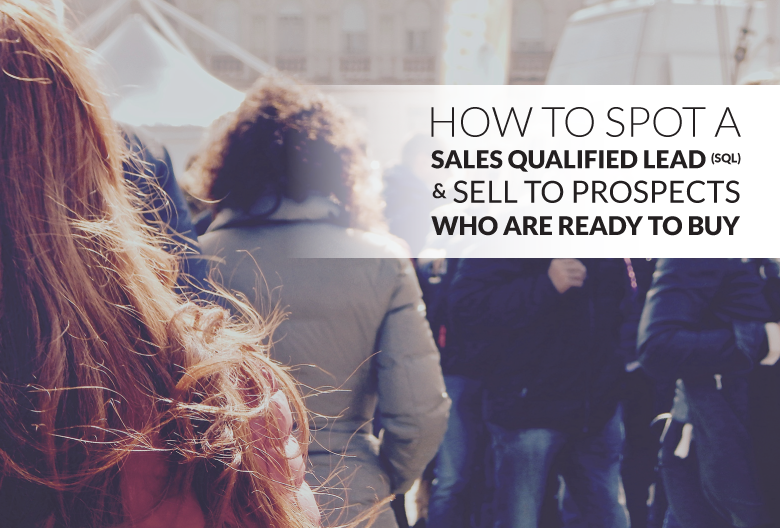 They have been vetted by your marketing and sales teams and meet enough of your lead qualification criteria to be passed along to a quota-carrying sales rep.
An SQL ready to discuss the next steps and, hopefully, be brought on board as a customer. Sales Qualified Lead vs. Marketing Qualified Lead: What’s the Difference? On the other hand, a sales qualified lead (SQL) has already shown intent to buy and is ready to meet with a quota-carrying sales rep. This is typically the stage after an MQL. When Does an MQL Become an SQL? Sales and marketing need to work together to determine what separates an MQL from an SQL. Once you’ve defined what these terms mean for your business, you can perfect the lead handoff process and never let a potential customer slip through the cracks. Many companies use lead scoring to assign a value to consumer actions that indicate interest. For instance, visiting your website multiple times, signing up for your mailing list, or downloading your latest whitepaper could move the prospect towards becoming an SQL. 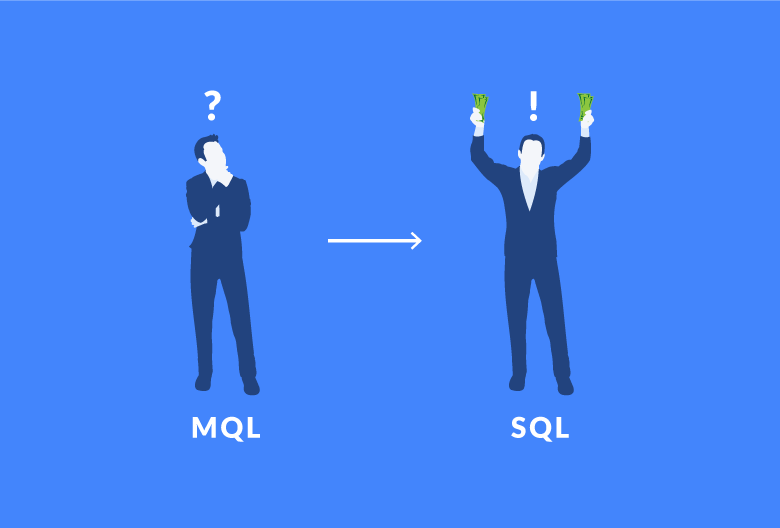 Not sure what separates an MQL from an SQL for your company? Let’s take a quick look some lead scoring factors you might use to qualify an SQL. A lead scoring process allows you to identify and target prospects who are serious about making a purchase. Since only 5-15% of initial leads are sales-ready, it’s important that your marketing team understands when it’s time to hand-off a lead to your sales reps.
One famous example of lead scoring is the BANT framework created by IBM. This system works on the basis that a prospect needs to have an appropriate budget, authority, need, and timeline to be converted into a customer. Responding to your cold email with questions about your product. Contacting you directly via email or your website’s contact form. This a pretty clear indication that they’d be receptive to a call from your sales team. Registering for a webinar or upcoming event. Of course, certain webinar topics target leads at different stages of the buying process. Revisiting certain pages of your website multiple times, such as your product page or pricing page. Arriving at your site from a referral that has shown to produce SQLs in the past. This will depend on your business and network, but you might find that leads from a targeted ad are more (or less) interested in buying than those who search for your business directly. One you have an understanding of your SQL conversion rate – that is, how many sales qualified leads become customers – you should look at your current numbers and see how they compare against industry standards. According to Marketo, roughly 22% of SQLs become customers. If you’re not quite happy with your current performance, create a plan for improving your SQL conversion rate. Whether it’s through a limited-time bonus, discount, or something else, look for ways to provide that bit of extra value needed to close the deal. The handoff from marketing to sales should be seamless experience for your prospects. Ask your marketing team to clearly communicate information about the prospects’ company and needs that could help or hinder the sale. Sometimes your prospects need a little social proof. Testimonials from happy customers increase your credibility and can help convert more SQLs to new customers. Just because a lead has shown interest in your products or services doesn’t mean it will be an easy sell. In order to maximize your SQL conversion rate (that is, turn more qualified leads into paying customers), your sales reps should thoroughly prepare for each meeting, seek to understand the prospect’s needs, and foster a healthy relationship as the prospect transitions from lead to customer. Do Your Homework: A major advantage when selling to an SQL is that you can look at the path they’ve taken through the marketing funnel and find out which resources they’ve downloaded or read. Make use of this information and you’ll be fully prepared for every call or meeting with an SQL. Focus on Solutions: Now that your leads are qualified, shift the dynamic to a two-way conversation. Listen to what your leads have to say, because the better you understand their challenges, the more likely you can sell them on your solution. Continue the Conversation: Don’t treat the sales call like the final stage is a lengthy lead management process. Your goal is to close the deal, but your SQL needs to know that they’re signing on to be treated as a valued customer – not just another successful sales pitch. Remember to ask questions and smooth their transition from qualified lead to customer. Once you’ve developed a process for qualifying leads, it’s important for marketing and sales to work closely together to ensure MQLs and SQLs are handled appropriately. A CRM like Propeller can streamline communication between all members of your team and allows you to track a lead to from first contact to sale. Start your free trial today so you can spend less time tracking customer data and focus on turning leads into customers.